A couple of weeks ago I saw a newspaper article with the headline: “Obama Calls For End To ‘Conversion’ Therapies For Gay And Transgender Youth”. The President was moved by the suicide of a 17-year old transgender woman. Before she killed herself, she posted a note online, saying that religious “therapists” had tried to convert her to being a boy, the gender assigned to her by society. President Obama is right. There is no justification for the violence that is trying to impose a sexual identity on someone else. The young woman who died was being forced to comply with other people’s erroneous assumptions about sexual and gender identity. headline, one that would reject ableism and how disabled and Autistic people are forced to comply with erroneous assumptions, and to act in ways that go against our identity as disabled and Autistic people. I wanted to see a headline about a ban on Autistic Conversion Therapy, aka ABA. Expectedly, the proponents of ABA, the proponents of torturous and endless compliance sessions, came out to defend the practice. They rejected the comparison, conveniently forgetting that Gay Conversion Therapy and ABA have the same “father” – Ivar Lovaas. When reminded of this fact, they claimed that ABA is not “like that” anymore, ignoring that compliance training forces Autistic people to act, react and respond in ways that are unnatural to us, or in ways that we cannot really process, and this is violence. It denies our neurology. It attacks our neurological identity. Because ABA proponents, as their philosophy dictates, never accept a “no” from Autistics, and will relentless pursue the goal of making us comply with what they believe is the desirable way of being, their next argument was to say that “neurotypical people comply all the time”, that’s why it is vital that Autistics learn compliance too. Short pause: I noticed that some people went from “ABA is not compliance training” to being compliance “because everyone has to comply too”. Contradictory excuses. So, let’s clarify something: Neurotypical people do NOT comply all the time. When they defy, talk back or refuse imposed and subjective rules, or imposed ways of doing things (when they can achieve the same goal by doing the same thing in a way that works better for them), they are allowed to keep their position, they are allowed to continue to disagree, they are allowed to say “no”. By contrast, Autistic people are continuously battered with compliance strategies, with imposed ways of doing things that are not natural to us (even when our atypical way of doing things might achieve the same goal), until we break, and lose the energy to fight for our right to be ourselves. The reason why we “break” is because ABA “therapists” believe they must not allow us to ever do things our own way. They consider our way of doing things so wrong, it can never be allowed to prevail. So they use strategies that feel more and more violent to us, until we, exhausted, comply. Because ABA does not see us as fully human, we are not allowed self-determination, unless it is not really “self” but compliant with the therapist’s determination to change us. After all these failed excuses, ABA proponents said that “Autistic people need to learn certain ‘skills’, and to learn how to communicate”. About communication: everyone communicates and behavior is communication. As a non-speaking Autistic, I can say that you can now understand my writings BECAUSE I wasn’t having ABA when I learned how to type. I need to stim as I type and ABA would make me stop the stimming, therefore preventing my learning. About skills: it is true that we all need to learn certain social skills. This is not ABA. This is life. ABA rejects non-compliance, which is a social skill. Moreover, all those neurotypical people who insist on high-fiving me, hugging me, and following my face as I turn my eyes to avoid painful eye contact are not being promised gummy bears if they improve their social skills. Another tired excuse: “my child/my clients ‘looooove’ ABA and they are happy”. Are they, really? A lot of us, Autistic adults, are saying that ABA is bad, that it hurts and that it is violence against who we are. Then parents say that their children are happy. I will wait until the children are allowed to say what they want and how they really feel. They are children, being manipulated through rewards, being taught that pleasing adults makes them “good”. People who experienced ABA reject it. PARENTS who do NOT experience the violence – but who want to normalize their children – support it. I wish the President would also see us as people who are just fine being who we are and call for the end of ABA: Autistic Conversion Therapy because it is violence against our neurology, our identity, our humanity. I made the same comparison about Lovaas’ methods being used to “convert” homosexuals in my master’s thesis at UVA, pointing out use of aversives in studies cited as scientific proof that ABA is “the way” to help children with autism. My professor treated me like a heretic, but I stood my ground. I have temporal lobe epilepsy and cannot imagine someone trying to “condition” my seizures away! Am so glad people are speaking out against it. Fabulous, as always, Amy. I am an ABA survivor myself and I think the whole idea of compliance therapies are wrong. Again, well done! I definitely agree that the President needs to see us as being fine with who we are. How can we make a life long condition such as autism end? We can’t, and autism is not bad. Autism is different, just like we have different races, genders, sexual orientation, health conditions, abilities, and disabilities. 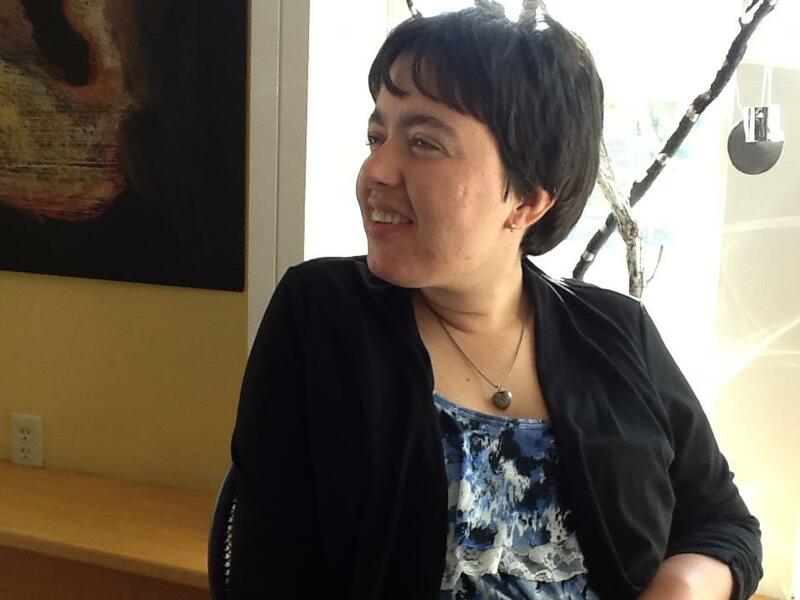 Pingback: Autistic Conversion Therapy — Autism Women’s Network – Appalachian aspie part two. Thank you for posting this–I am a product of my parents trying to “train” the autism out of me, while simultaneously discouraging me against pursuing my career choices…sort of like the movie Shine. I am now 47, without a support system and jobless, and about to lose everything I worked for over the last 13 years. Elyse, are you getting some kind of help you actually find helpful? It is a shame your strengths weren’t recognized and encouraged. Everyone has a right to be unique and should given experiences that make them proud of this. At the age of 47, maybe it’s not too late. How can you start building a support system? How can you make more opportunities to do the things you love to do and believe in? Don’t give up hope! Good luck in your present situation. Maybe you will surprise yourself with how resourceful you can be. I always find Amy’s writing insightful and powerful. Likening ABA to “autism conversion therapy” is brilliant. I agree that therapies designed to make autistic people “more normal” are a form of oppression that are misguided at best. However, please help me understand. I am an adult with Asperger’s. I used to get melt-downs as a child, but my mom was never afraid I would hurt myself badly or run into traffic. Isn’t there a role for ABA to help autistic kids learn to manage their behaviour better, for example so they won’t hurt themselves? I don’t mean so they will fit in with dominant culture, but so they can live better lives in some sense of the word at least? I can’t say I know what it is like not to be able to talk, but based on my experience if I couldn’t communicate I would want any kind of therapy in the world that would help me learn to use language in some way. I don’t want to be politically incorrect or insensitive to anybody, but isn’t there some role for ABA? What forms of therapy are better? amy wrote an article, you can clearly see she can use language. speaking vocally is not the only way to converse. people use sign language, words boards, spell and speak machines, writing what they want to say etc to get across their point, all of which can be taught without aba. i become nonverbal during times of stress and anguish and i use my phone to type and show to people. this is a perfectly valid means if communication and i dont think anyobe could tell me that its ~wrong~ there are many methods to help people to control meltdowns, from talking therapy to cbt. aba is abusive by nature, not just in the way it is taught. we need to do real research into how to help autistic people and neurotypical people need to actually take our ideas on board. Sorry – I’m a man. Is it OK that I posted here? Yes, I’m pretty sure it’s fine.